Last week #WorldTeachersDay was a huge trending topic, so I ended up creating a quick tribute to Degrassi teachers over the years over on my Youtube channel. Filming for Degrassi: Next Class might be over for the year, but the cast tends to stay pretty busy during the hiatus. Degrassi’s been involved with the WE Movement for years, and the Next Class cast has taken over the reigns of being hands on with this global initiative.We cover that in latest episode of Degrassi Corner, plus updates on non-Degrassi projects for a couple of Degrassians, past and present. The two have been announced as one of many celebrities who will appear at the Toronto event on October 19. Details on their appearance can be found here. Also, that same day Dante Scott and Chelsea Clark will be one of the special guests at the first WE Day Family event. 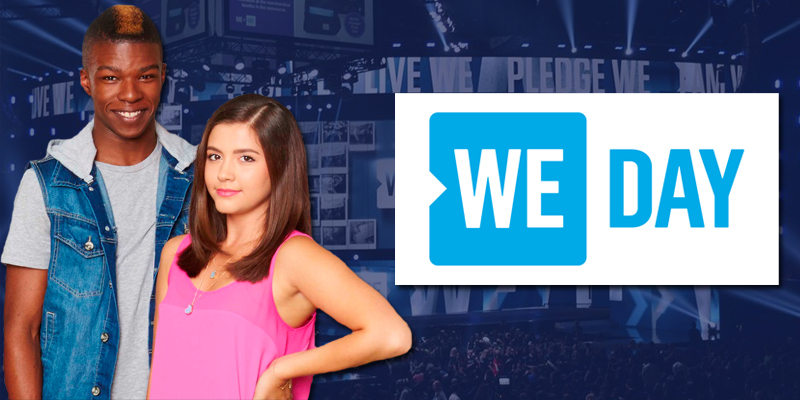 While you can’t buy tickets to the primary WE Day event, tickets CAN be purchased for the WE Day Family event here.